For a limited time, TNW Deals is offering three fantastic deals to help you get your startup or small business up and running. Through mastery of Google Analytics, marketing techniques and growth-hacking tricks and tips, you’ll build a comprehensive understanding of leading and monitoring the digital marketplace – all for over 90 percent off. Marketing professionals are calculated observers of their audience. Advanced categorical breakdowns of data on the internet do not magically appear, unfortunately. You’ll need a guide to understand the metrics and data that will put you in command of better business decisions. Google Analytics Mastery is that guide, leading you into a comprehensive understanding of your audience and more specific information for driving sales. Get it now on TNW Deals for just $29. 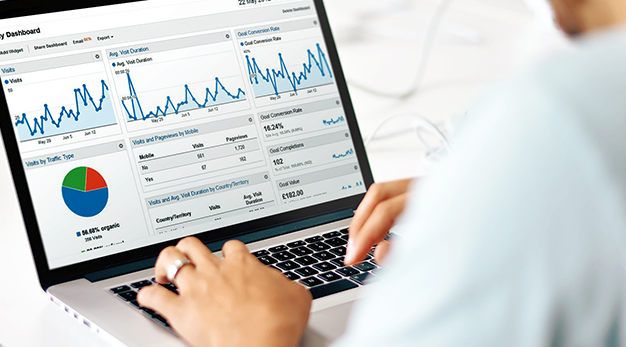 One year of access to this detailed course puts the pace in your control as you gain an understanding of basic features like the Google Analytics dashboard, shortcuts, alerts & standard reports. You’ll establish confidence in exploring and monitoring various report types, from traffic acquisitions to site search reports. Rewind, repeat or fast-forward lectures to learn at your pace, and access the 7-module course for 1 year. For a limited time, it’s available for 91 percent off. Five courses. Over 250 lectures. If you’re serious about building a successful business, it’s time to explore the Pro Google-User Course Bundle. Now on offer from TNW Deals for just $29, this collection of courses will walk you through the fundamentals of marketing and Google tools, sustaining and monitoring your audience through reliable digital-business methodology. At 97 percent off, there’s never been a more opportune time to develop marketing & analytics mastery. Set your business on a surefire course for success with the Growth Hacker Mastery Bundle, a comprehensive set of lessons and guides to establish the tools you need to dominate the market. Over the span of six courses, you’ll receive premium instruction on building your base, expanding your enterprise, establishing an email marketing machine and understanding the performance of your business through data analytics. It’s now available for 94 percent off at TNW Deals. For a limited time, you can get all six courses for $29.99 on TNW Deals.